1 Pooh | This Blog Rules | Why go elsewhere? 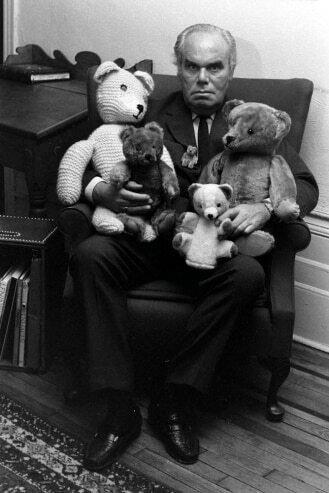 Teddy bears have been a life-long fascination for many of us. Every kid has his own teddy bear to torture out of love, enthusiasm or just plain curiosity. 100 Teddy bears with skeletons in their closets is a courageous incursion into the unknown sides of fluffy toy cuteness. What if they were… mmm…zombies? Someone actually thought about this before, someone like the English artist Phillip Blackman, who uses zombie special makeup to turn the adorable toys into creepy un-dead that will keep you awake at night. 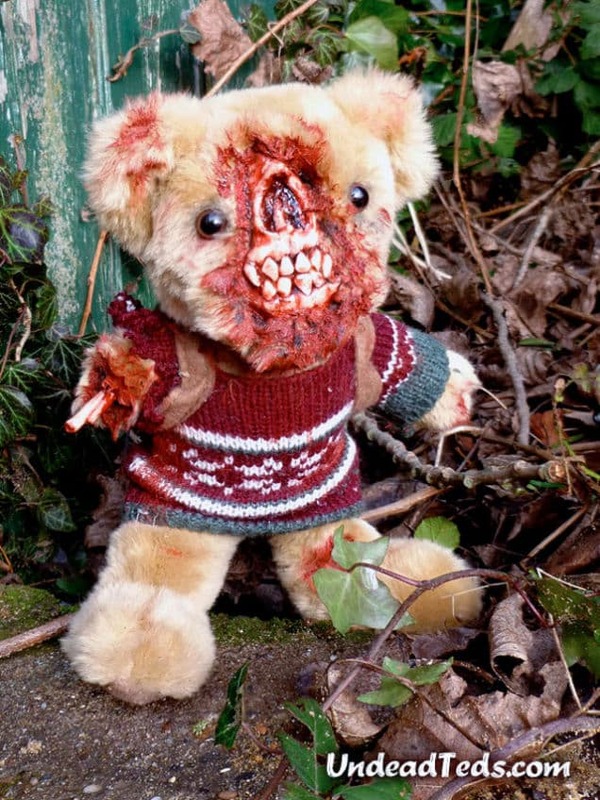 A teddy bear on the verge of dying, but with a last unfulfilled wish: to haunt you in the middle of the night. Each of the UndeadTeds – as they are called – takes in at least eight hours to make, not including the time it takes for glue, paint and varnish to dry. But thanks to strange reasons, they’re selling like hot cakes! Find out more at the Undead Teds tumblr. Teddy Scares make sure you eat your veggies! 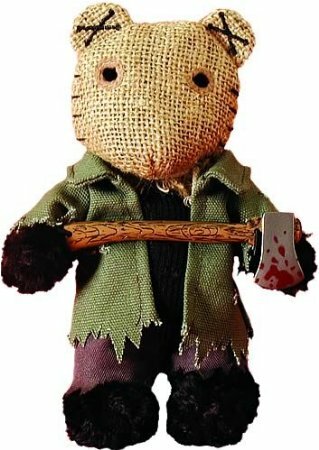 Teddy Scares are actually UndeadTed’s remote relatives. They are mean, but at least walk with their organs inside their bodies. They each have personalized stories and come with a bunch of creepy warnings. For instance here’s Redmonf Gore’s biography: his last words were: “Trust me, it won’t hurt.” His favorite place is: “In the shadows.” I won’t disclose further information about them; I’ll live this pleasure to you. He also has some interesting creepy friends. It appears that human attachment for plush friends knows no bounds in some odd cases. And people choose to be immortalized holding their significant teddy bear, despite their being over 50 years old, not to mention the bear, which in many cases is much older than the owner. The bears and their owners have endured each other for decades, and though all lead normal active lives, especially the bears, none are too forgetful to pass the time of day with their oldest friends. At least from time to time. According to Life Magazine, old bears are characterised by those who live with them as “placid,” “serene” and “radiating contentment.” There’s no doubt about the fact that all teddy bears are steadfast and loyal, yet the same cannot be said for their owners. Christopher Robin for instance, whose childhood bear inspired the creation of Winnie-the-Pooh simply got rid of him like old underwear. Pooh, who is over 50 years old, lives far from home in a glass case in an American publishing house. In 1987 Eeyore, Piglet, Tigger and Kanga, his best friends ever, were moved to The New York Public Library. They can still be visited in their downtown posh residence. The story goes like this: on a hunting trip in 1902, the young president didn’t want to shoot a black bear, despite the man’s well-earned reputation as a hunter who had killed countless animals and birds for decades. 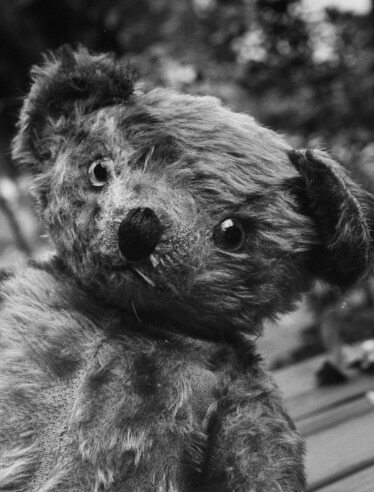 Therefore a toymaker in New York learned of T.R.’s merciful moment and created a toy bear — a “teddy bear.” The bear was an immediate hit, and for the past century has remained the symbol of childhood.